Freesia is a superb bulb flower, both extremely ornamental and fragrant. Caring for it from planting to pruning is quite easy and the result will often enchant you. If your climate allows for it, plant the bulbs at the beginning of spring, towards February-March, more or less 1 to 1½ inches (3/4 cm) deep. In case frost spells occasionally hit, best grow freesia in pots and bring the pots in from the cold. Freesia revels in the sun and in rather rich and especially well-drained soil. Since this plant is relatively vulnerable to the cold, it will prefer the warmest and sunniest spot of the garden. Spread specimens around 2 to 4 inches (5 to 10 cm) apart. 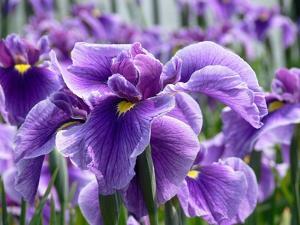 Prepare small bunches of 5 to 10 freesia bulbs. For the plant to bloom in February-March, plant bulbs in pots (5 or 6 to a pot) in fall and keep them in a sheltered spot, taking great care to water them. Whether you’re a seasoned gardener or a greenhorn newbie, Freesia is the perfect plant for you because it only requires little care. However, some steps are important to consider if you want to extend the blooming and avoid diseases. During the entire growth phase and until the leaves turn completely yellow, water whenever the soil is dry but not too much because freesia can’t cope with waterlogged roots. 1 watering a week is recommended during hot weather. 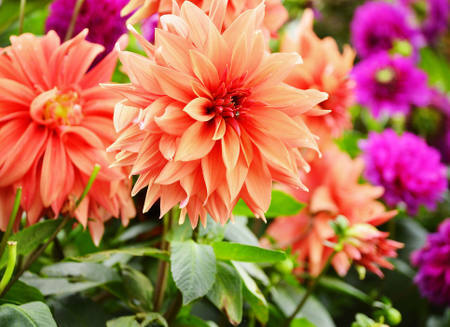 Adding liquid flower plant or bulb plant fertilizer is required every fortnight. Stop watering when the leaves have wilted away completely. 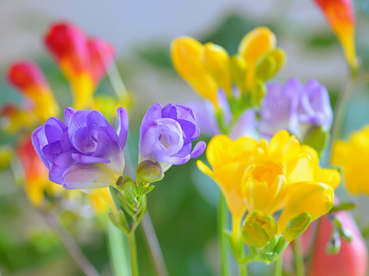 Pruning of your freesia plant isn’t a requirement, but it may enhance blooming. Cut wilting flowers off as they die away. Cut leaves and foliage only when yellow through and through, because if they’re still even just a bit functional, you’ll be depriving it of resources and this will diminish the following blooming cycle. Freesia cannot withstand temperatures below freezing and must be brought out from the cold in winter. Since it is often pot-bound or grown in containers, it’s much easier to bring the bulbs under shelter from freezing. Once the leaves have dried out, unpot the bulbs and separate them. Keep the bulbs in the dark in a cool (but not freezing) spot, ensuring that there’s proper ventilation. 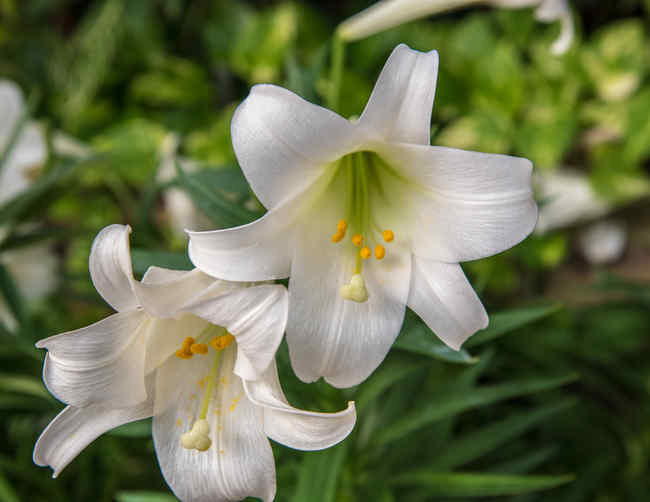 The trumpet-shaped flowers appear in bunches at the tip of floral scapes and bring bright, eye-catching colors like red, violet, yellow or white, depending on the variety. Note also that the freesia is particularly fragrant and is often included in perfume scents. The name Freesia itself dates back to 1866 and was christened by a botanist called Ecklon to honor a German doctor whose name was “Freese”. If you plant your bulbs in clusters of 30 or more, you’ll be creating magnificent spots of color in your garden!